It seems logical, but corn stands should be evaluated early in the season. When I say early, I mean a week or two after emergence (VE to V3) and if needed, replanting can occur. However, this sometimes is easier said than done, depending on the weather and how busy planting season has progressed. 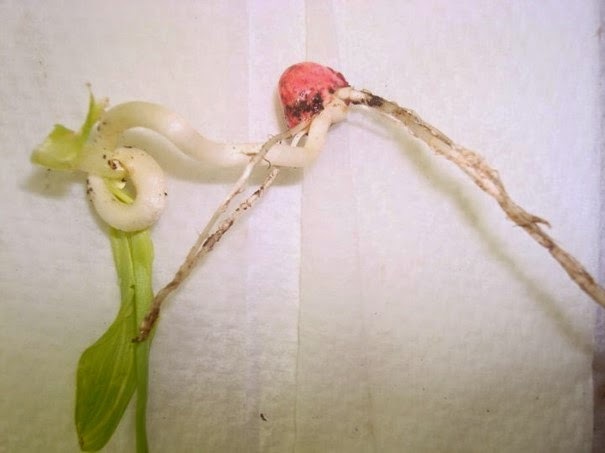 At growth stages VE to V3, the corn plants main root system is the mesocotyl. Unfortunately, growers often realize a stand, when it is too late to replant. At the growth stage V3 to V4, the corn plant’s nodal roots become the plants primary source of water and nutrients. The University of Kentucky Extension just released a Corn and Soybean Production App. 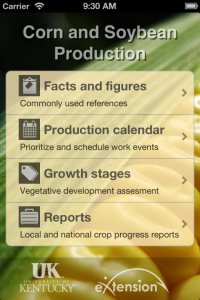 “The corn and soybean app was designed to help growers plan their work in the office or on the field. The app includes a crop calendar for corn and soybeans, some of the growth stages for corn, access to crop progress reports and useful facts for helping make production decisions.” For more information, about the Corn and Soybean Production App, you can check out the following blog called, eXtension, Kentucky Launch Corn and Soybean App. When it comes to reduced corn emergence or uneven stands, often times, it is easy to put the blame on root rot diseases, insects, herbicide injury, and even nematodes. The underlying theme is that pest, disease, and herbicide injury issues are often a problem if corn lacks vigor. Even though pests and diseases get a lot of attention, more attention should be on environmental as well as seedbed conditions at planting. Poor weather and seedbed conditions can cause stress to plants and lead to disease and pest issues. There can be various factors that can restrict this root growth. In previous blogs we have talked about how low soil temperature (below 50 degrees F.) can limit corn growth, as well as other factors such as soil moisture at planting, soil surface crusting, soil to seed contact, soil compaction, or a mixture of these factors that can limit either the root or corn plant’s ability to properly grow for optimum performance.